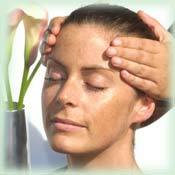 Since 1989 this complementary therapy was created and is practiced through the American Holistic Nurses Association. 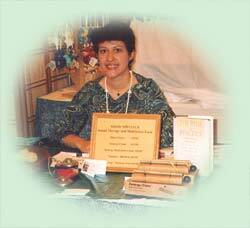 In fact, Healing Touch International was established in 1996 to promote this program worldwide. It is an energy based therapeutic treatment using a variety of hands on techniques to restore balance to the human energy system and to maximize a per≠son’s healing holistically: physically, emotionally, mentally and spiritually. The techniques used include Therapeutic Touch, modalities from Barbara Brennan’s school of healing, healing treatments from Dr. Brugh Joy and many other noteworthy physicians, ministers and healers method’s which comprises the two year program of study of Healing Touch. The Healing Touch practitioner aligns the energy flow in and around the physical body activating the mind/body connection to eliminate any blockages to self healing. In this manner the individual is empowered to participate fully in their healing process. Relief of Pain .ie. : Migraines, Sinus, Backache. Relief from Anxiety, Stress and Depression. Grief management and support for the dying process. (for caregivers and terminally ill patients). Complementary therapy for cancer, HIV/AIDS, MS and diabetes. Reiki means “universal life force”. The word Reiki originates from the words Raku Kei. Raku is the vertical universal energy flow and Kei is the horizontal flow of universal energy. This method dates back approximately 3,200 years to ancient Tibet. Dr. Mikao Usui, the modern day founder of this ancient method of “hands on” healing. rediscovered this oral tradition and initiated other practitioners in a more formal way of education through written materials at the beginning of the 20th century. The Reiki student will learn to receive and channel this inexhaustible energy for the purpose of balancing the chakras (Sanskrit word meaning “wheel of light”), the mind and the physical body. These chakras are connected to the endocrine gland system and central nervous system in the body. Health problems arise when there are mental, emotional or physical imbalances which can be detected through the chakra system and corrected in a Reiki treatment. No belief system is required to learn and use Reiki. The Reiki treatment typically lasts from 40-60 minutes with the recipient seated in a chair or lying down on a massage table. Unlike a massage the recipient remains clothed. As the treatment is given sensations such as warmth, tingling or coolness can be expected. Most people feel very calm and relaxed and frequently fall asleep. The Reiki system of healing restores and balances all the body’s energy system so that it may heal itself naturally. In person sessions are by appointment. Long Distance Healing can be given as well. You can prepay for the Reiki treatment at the online store through PAYPAL Gift Certificates can be purchased through the online store. michelle@healingheartsandminds.com. Or CALL : 786-683-9700. Attunements are given at each (level) or degree earned to instill the “new” energy into the student. Like the states of mind used for meditation and hypnosis. The body and the mind are more relaxed and receptive in this state of consciousness. Minimum of 21 days of cleansing between learning Level 1 and II and III. The Reiki I class provides the history on Reiki and Dr. Usui. 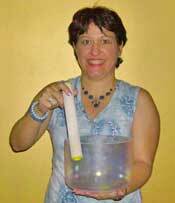 The participants will be “attuned” to the Reiki energy. The attunement raises the individual’s vibratory rate and starts the student on the way to becoming a Reiki practitioner. Upon completion of this class, student will learn to sense energy and will be able to use Reiki on themselves , others, plants, and animals. Training manual and certificate of completion is given to student. The Reiki II class has an attunement which elevates the practitioner’s mental energies. The practitioner is taught the three Reiki symbols. The symbols enable the practitioner to: intensify the energies to a specific area, balance the upper four chakras (energy centers), and perform distant healings. Practitioners are taught to cleanse rooms, water, and people of “negative energy.” Training manual and certificate of completion is given to the student. The Reiki III class teaches the practitioner the master symbol and how to attune Reiki students. A review of previous Reiki course work and symbols is done to be sure that each student is proficient with the material. One hour healing sessions are conducted with the students practicing the appropriate protocol of hand placement and symbols on each other. Each student must demonstrate the ability to give a proper attunement while role playing with other students. Students must be approved before taking this class. Training manual and certificate of completion is given to the student. Prerequisite: Completion of Level I and II. Reiki is a gentle loving energy that can be used like a “first aid” kit for helping others when their hurt, sad or mad to feel better. This fun class involves children learning to use their natural “energies” to improve their concentration, strengthen their physical bodies and harmonize their emotions. 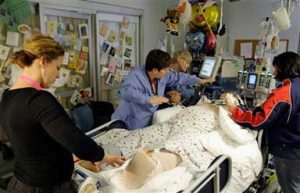 The visualization techniques used in class allow them to send “energy” to loved ones and even to a plants and animals to help them when they are sick. 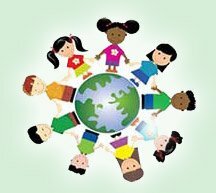 Children are an open expression of love, and by using Reiki, they are increasing the power of love and channeling that love everywhere in the world. Some forms of vibrational medicine are now being studied and used for their healing properties by health care professionals under the category of complementary therapies or integrative medicine in hospitals and wellness centers around the world. In a Vibrational Healing Session the following modalities are used: crystal/gemstone therapy, aromatherapy, spiritual or energy healing, vibrational sound therapy. These are combined to create effective change in the subtle energy field which exists around the physical body wherein the energy blockages begin. Energy blockages such as pain or tension are reduced and released creating a return to a healthy state of mind and body. In one form of vibrational sound therapy, I will also utilize quartz crystal bowls with different octave ranges that are excellent tools for transmitting these sound frequencies into the body for balancing the chakras. In addition to the benefit of hearing and feeling these beautiful soothing sounds the crystal energy is powerfully magnified to strengthen the bio-energy field. Since each chakra resonates to a specific musical note and each crystal bowl has been created to attune with that frequency they are extremely effective tools for transformation in the practice of mind/body medicine. (see recommended reading: Dr. Gaynor’s book “Sounds of Healing”) Dr. Gaynor, an oncologist, recognizes the importance of the quartz crystal bowls as a therapeutic tool for his cancer patients. For more specific information on the corresponding notes of each chakra please visit our sister website: www.academyofbreathsoundandmovement.com. Often times I will play other musical instruments that have been studied by brain researchers to help induce deep meditative states which are very conducive to healing. Such as the ting shas (as one example) the frequencies emitted by these small cymbals easily uplifts the mind in a tranquil and serene state. Another form of using vibrational energy is through the application of crystals which receive and transmit energy. Each one has unique properties that strengthens, cleanses or refines our bodies (the mental, emotional and physical aspects). During a healing session, I will utilize crystals that correspond to each chakra. Afterwards, I will often recommend to clients crystals which I intuitively feel will be beneficial to them. Aromatherapy which is the usage of essential oils is yet another form of vibrational energy that I frequently apply in my practice with clients. The oils awaken the higher mind and allows for an easy transition into a profound state of relaxation for the healing to occur. Just like the crystals each oil has specific properties for its usage and sometimes specific areas of application in certain chakras for cleansing and balancing. Through Spiritual or energy healing of the chakra system (a/k/a bio-energy field) I am able to intuitively sense the root cause of the illness and allow the energy to be transmuted to bring balance back into the bio-energy field. I like to make the analogy between our bio-energy system and traffic on a “freeway”. Illness happens when, like traffic, it is forced through an obstacle (i.e. : accident) to merge into one lane. It doesn’t flow as easily and it gets backed up and blocked. So it is with our energy system, physical pain, mental or emotional tension or trauma all create backups on our “freeway” of energy flow throughout our bodies. 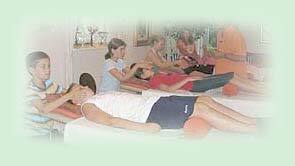 After the treatment is received, the body’s energy level is increased, pain is eliminated and anxiety or tension is dissolved. This process of vibrational healing helps to create a return to a state of wellness because it works at the physical, emotional and mental levels of the individual.